I have changed my mind since getting home and tapping up with a decent quality ball rather than a rubbish cheap two piece. Sounds and feels much nicer with a Dukes/Morrant than the Kooka Turf Pitch 2 pieces. B3 will be in the kit bag until the JP Gavan is fully run in. My replacement finally arrived last week and the response from tapping up the new bat is first rate. Fricky is doing some end of season offers on social media so you may be able to snag some cheap! 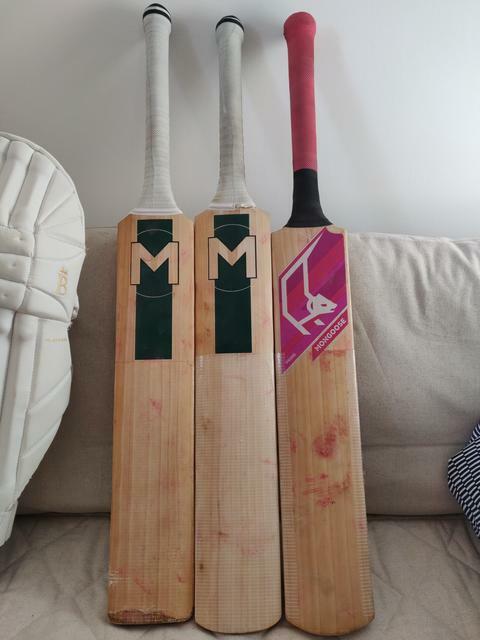 As season approaching and we all are getting excited and showing off our new purchase bats with shiny stickers. An idea came to my mind, I though rather than posting pics of my kit why not do a video? 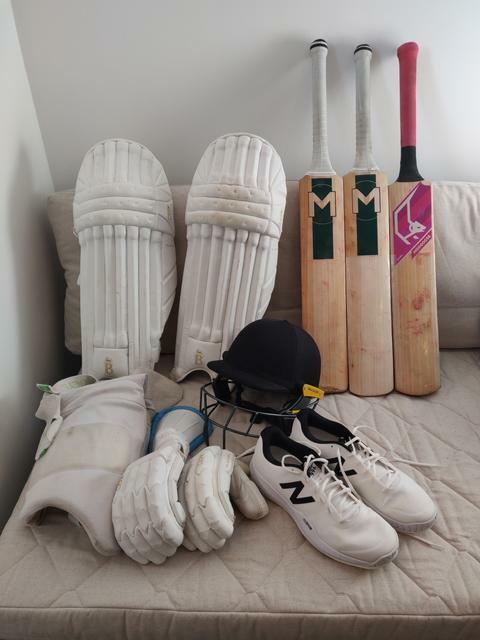 i have posted pics of my kit here before but there are few addition to cricket family hence I got my camera and did a video than photos. I am not a camera person So apologies for that in advance. Heres the link to video, Enjoy if you like it, ignore if you dont. I made video quickly before heading out now I am home so give bit description of what I got. Thigh guard is youth size as found adult size to be too big for me. Only used once in nets and it kept coming down. Maybe cause I was wearing slippry trouser that day. Used BDM gloves sausage style for first time and found them very nice. So ordered another sausage style from Anthem. Anthem ones are so so comfortable I love them. Yet to be tried in match for longer period before knowing how they feel. Helmet is Shrey youth size base model. Forgot the name of model but is perfect fit for my bald head. Being tested against youth and adult balls hence felt comfortable buying it. Struggled for first few balls at very first use as gap is very small but mind accepted and adjusted to it very quick and now has no issue using it at all. Pads are focus bought here from vitas sale year or so ago. Very comfortable not too heavy either. Top level protection. Anthem will be main match bat with unstickered RNS as back up. Both tap up very nice. Bradbury players softs, almost dead Aeros, Masuri OS2, NB tennis shoes spiked. Couldn't find my keeping gloves but hopefully won't be using them anyway! Main match bats pictured only, I'll probably use more but these are the regulars. Two of my own which were the two I used last year - spare on the left and favourite on the right, and a Mongoose for LMS. I'm a big Salix fan; these are lush! Page created in 0.679 seconds with 44 queries.